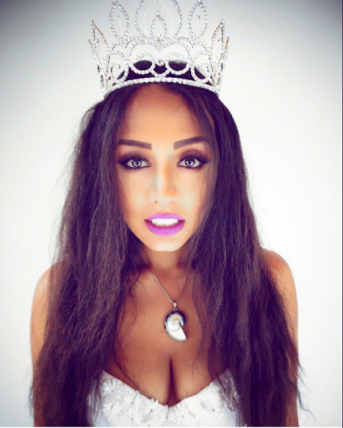 Beauty queen returns crown after officials tell her to ‘lose as much weight as possible’. A size 10 beauty queen recently returned her crown after allegedly being told she needed to slim down to compete in an international pageant. Zoiey Smale from Nottinghamshire in England was awarded the Miss United Kingdom title in June and was looking forward to taking part in Miss United Continents in Ecuador. But after organizers reportedly told her she needed to “lose as much weight as possible” in order to stand a chance of making it to the finals, she decided to withdraw from the competition and give up her title. The mother-of-one, who works in the sports industry, was left feeling hurt and confused by the comments. “I’m not big at all. I’m just bang on average. I just think to be told to lose as much weight as possible for a competition, why would people say that? It’s horrible and it made me feel so rubbish about myself for a long, long time,” she confessed. At the age of 28, Smale is a popular figure in the modelling industry.. The 28-year-old, who has been taking part in beauty pageants since the age of 18, explained that after thinking about it, she decided to politely decline to participate. “I said to my director, who was really supportive, that I don’t think someone should say that to girls. It’s awful and it’s horrible and it’s wrong. I don’t think to be a good role model you have to be stick thin and I explained my reasoning that way,” she said Smale now wants to raise awareness about certain beauty pageants as she feels they could be negatively impacting the self-esteem of young women. Ugh! Plus size model are somehow neglected even in modern countries..
Have you read it? : (Shocking News)Miss Diva Nigeria Ambassador, Queen Chidera Ugwueze has been officially dethroned. 37 Models in 1 Big Stage:Queen of Aso Nigeria 2017 Grand Finale Holds on Saturday 5th August in Abuja.